l thinking the situation over. I was sitting at my computer. 3 at my computer looking out the window. 11 	A. That is correct. 13 probable cause for violation of the statute, correct? 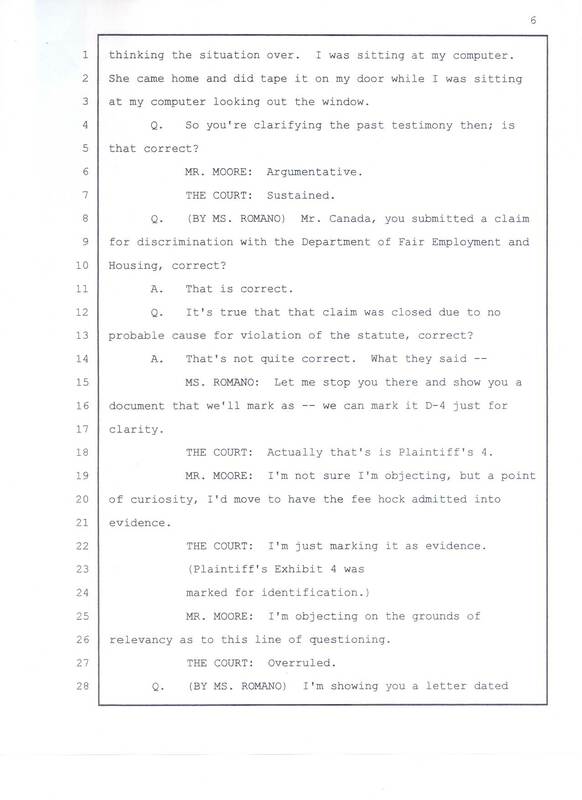 18 		THE COURT: Actually that's is Plaintiff's 4. 22 		THE COURT: I'm just marking it as evidence. 26 relevancy as to this line of questioning.